Left On Base Percentage (LOB%), AKA “Strand Rate” is a stat that describes how often a pitcher allows base runners that don’t score. It’s usually cited as a luck stat that indicates that a pitcher has been fortunate to get out of trouble, or unfortunate in the timing of hits (especially homers) against him. That’s largely true, but there’s a bit more to it than that, and it’s important to know when it’s useful and when it isn’t. How Does Strand Rate Work? The first thing you need to know about strand rate is that it is driven by base runners allowed. The more men they put on base, the more likely the next hit will drive them in. In short, the lower the WHIP, the higher the expected LOB%. Still, there can be quite a bit of variance in LOB%. We know there’s a lot of randomness in hits allowed thanks to BABIP, and clusters of BABIP luck will contribute to clusters of runners scoring or not scoring as well. A theoretical 1.00 WHIP pitcher can give up exactly one base runner every inning, and have a 100% strand rate. If the same pitcher gave up three hits at a time every 3 innings, some of them would score and they’d have closer to a 50% strand rate. Those are extremes, but hits tend to come in fairly random clusters that pitchers don’t have much control over. There are some other minor factors (Mike Podhorzer took a deep dive into LOB% in 2016 if you’re interested), but raw base runners is by far the strongest. Slugging against and home run rate are the next biggest factors, since more bases at a time are more damaging. Josh Tomlin is the poster child for this effect. 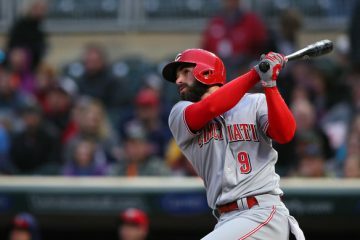 I’m going to use WHIP as a proxy for base runners because that’s the stat we’re most familiar with as fantasy players, and the most easily referenced when looking at a stat line. 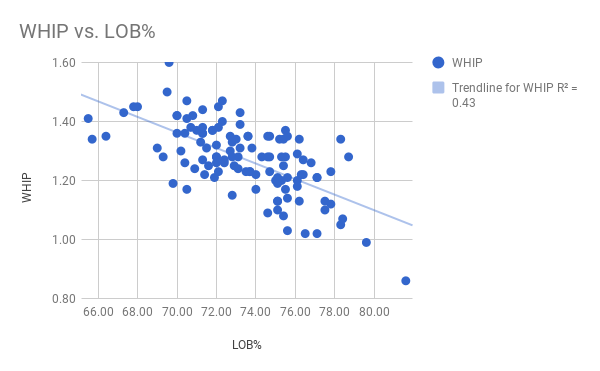 For this chart, I took all starters with 400+ IP over the last four seasons and plotted their WHIP vs LOB%. That outlier in the lower-right is Clayton Kershaw, who has an average 0.86 WHIP and 81.8% LOB over the last four seasons. He’s, uh, pretty good. Since this is over 755 innings, we’re not worried that his 81.6 LOB% over that time is an aberration. Max Scherzer gives us a more human realistic limit with a 79.6% rate with a 0.99 WHIP over the same period. Everyone on the list with a WHIP under 1.15 had a strand rate of 75% or better. So we can expect guys with elite WHIPs to maintain a higher strand rate. We might even consider them a little unlucky if they’re only at a 70%. On the other end of the chart, pitchers with a WHIP over 1.30 tend to fall in the 65-72% range. That’s Mike Pelfrey down at 1.60 WHIP, and a 69% is about as nice a strand rate as he can hope for while putting that many guys on. The average for the whole group is 73.4%, but that’s a little biased by the innings pitched minimum. Still, we can expect an average pitcher with an average WHIP to be within a few points of that. Drew Pomeranz is the only pitcher on that list to not see his ERA jump the following year. Kyle Hendricks and Pomeranz were the only ones whose strand rate did not drop significantly after being inflated in 2016. Eight of those 12 also saw their BABIPs regress to more league-average rates. Kennedy, Hamels and Odorizzi managed to get luckier on batted balls but still fall to the ravages of LOB% regression. Chris Tillman swung everything to the other extreme and more than doubled his ERA. All in all, seven saw both their LOB% and their BABIP regress, and in general, you would have been wise to avoid or significantly discount them in 2017. On the other side of things, I had to drop the IP min to get any interesting examples. Nolasco and Tomlin are both pretty hittable fly-ball pitchers prone to the long ball, so those results make sense for them. Gray and Nola didn’t have great WHIPs, but their strand rates were still much lower than expected. Nola’s 1.31 would earn him a lower rate, but 60% is still about 10% worse than we’d expect. Gray’s 1.26 should have had him in the low 70s. Both bounced back in big ways in 2017, with Nola getting some of the good kind of BABIP regression too. 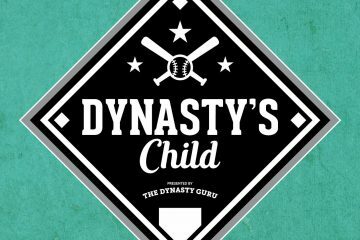 Investing in these two pitchers in 2017 based on poor cluster-luck would have paid off nicely. Back in January, our own Patrick Brennan took a look at potential breakouts/busts based on xLOB%, but I’d like to take a moment to look at just LOB% vs WHIP in 2017. Kershaw is at the top of the list because of course he is and we’ll ignore him, but number two is Robbie Ray at 84.5% with a 1.15 WHIP. Contrast that with Michael Fulmer, who had the worst strand rate of any qualified starter at 65.6% with the same 1.15 WHIP. Based on the chart above, we’d expect both to be around a 75% strand rate. 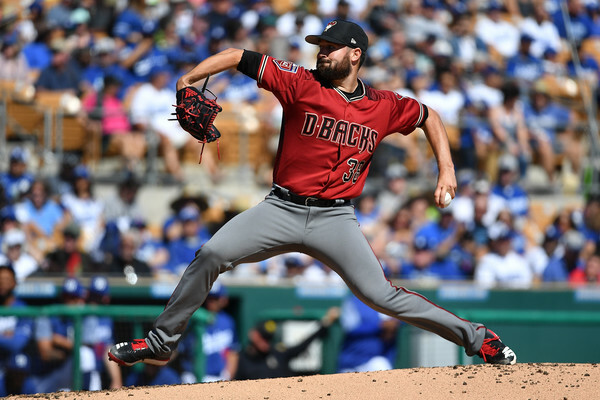 This is is a reason to throw some cold water on Robbie Ray, and a reason for optimism for Michael Fulmer (his shoulder is a concern, but his draft price is pretty well depressed already). Samardzija has some buying in already just for his reliable innings and Ks (though our own Keaton O. DeRocher isn’t one of them). Sonny Gray has some Yankee hype. Quintana, on the other hand, is one people are still pretty down on. His numbers aren’t way out of line, but his 1.22 WHIP is pretty close to his 1.24 career mark, and he’s got a 74.5% strand rate over that time. None of the three are coming at a deep discount, but I do feel better about buying in on them based on their poor strand rates last year. Hendricks, Gio, and Santana aren’t the most egregious examples, but they also have BABIP red flags, especially Gio and Erv. Hendricks and Pomeranz, as mentioned above, both stranded 80%+ runners in consecutive years, but those rates are still not sustainable for how many men they put on. Remember, only Kershaw can do that. Pomeranz is particularly confounding to me because pretty much all his results were worse in 2017 except home runs, but his ERA was exactly the same. Health risks aside, I think it’s fair to expect more dingers in his future. Hendricks regressed quite a bit, as expected, from his 2.13 ERA in 2016 but was still quite good. I think he’s got a little more to give back from his 2017 3.03 ERA, but he should still come in under 3.50. That’s not bad at all given his draft price. The rest of the names on that list have plenty of other reasons to avoid them, with Lynn and Urena being extremely lucky on both batted balls and base runners. Nolasco went from an under-performer to an over-performer. You may notice that I haven’t mentioned relief pitchers here. That’s because LOB% really isn’t useful for them. The samples are too small to stabilize within a single season. You also have more elite relievers with Kershaw-esque WHIPs pushing the extremes. There are also usage issues, as relievers are more likely to enter or exit a game mid-inning, possibly with runners already on base. All this just muddies the waters when looking at relievers. If you still have a draft coming up, those are some names to target or avoid. Keep strand rate in mind when looking at early starts this spring. If a pitcher’s BABIP looks normal, but their LOB% is far from that 70-75% range, there might be some cluster-luck happening with the hits they’ve allowed. But if they’ve got a 0.80 WHIP through four starts, there’s something else going on.